Calligraphy is such a beautiful and timeless art. 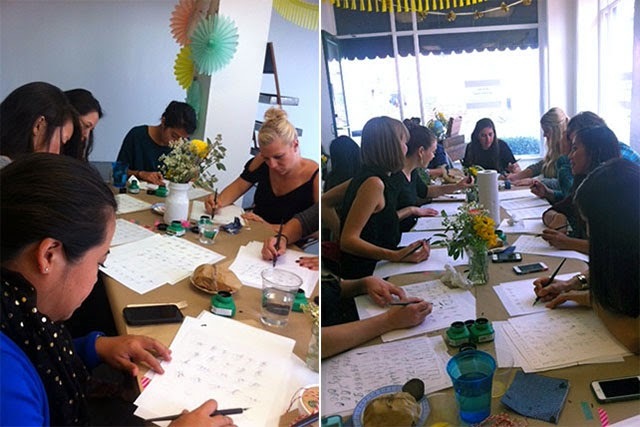 This past weekend a couple of friends and I took a lovely calligraphy workshop with Jenna Rainey. It was a lot of fun, but hard work. Trying to learn how to hold (not "claw") the pen took a lot of concentration on my part. Also, trying to write with your whole arm and not just your wrist was a bit challenging. We all left with a calligraphy kit and I've been practicing everyday since...I'm getting better than the picture of my first try. It's truly like therapy. 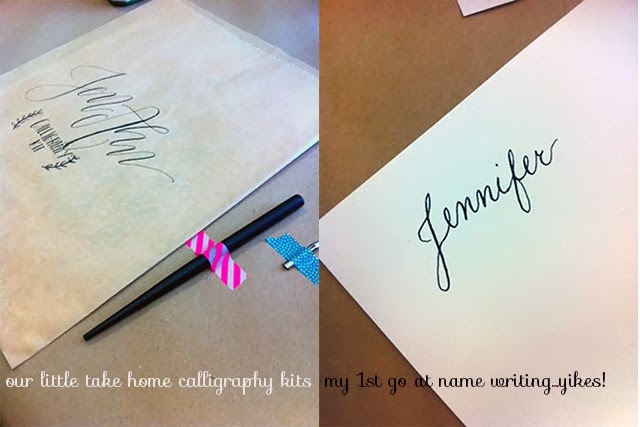 Have you ever taken calligraphy classes? If you're in the area, Oh, Hello Friend has been hosting some fabulous workshops.